Cornell University Press, 9780801450822, 328pp. To much of the world, North Korea is an impenetrable mystery, its inner workings unknown and its actions toward the outside unpredictable and frequently provocative. Tyranny of the Weak reveals for the first time the motivations, processes, and effects of North Korea's foreign relations during the Cold War era. 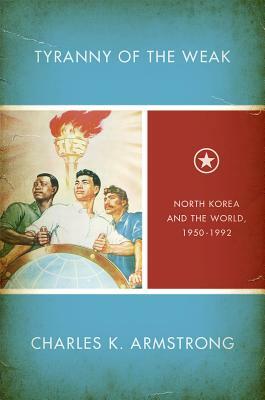 Drawing on extensive research in the archives of North Korea's present and former communist allies, including the Soviet Union, China, and East Germany, Charles K. Armstrong tells in vivid detail how North Korea managed its alliances with fellow communist states, maintained a precarious independence in the Sino-Soviet split, attempted to reach out to the capitalist West and present itself as a model for Third World development, and confronted and engaged with its archenemies, the United States and South Korea.From the invasion that set off the Korean War in June 1950 to the collapse of the Soviet Union in 1991, Tyranny of the Weak shows how--despite its objective weakness--North Korea has managed for much of its history to deal with the outside world to its maximum advantage. Insisting on a path of "self-reliance" since the 1950s, North Korea has continually resisted pressure to change from enemies and allies alike. A worldview formed in the crucible of the Korean War and Cold War still maintains a powerful hold on North Korea in the twenty-first century, and understanding those historical forces is as urgent today as it was sixty years ago.